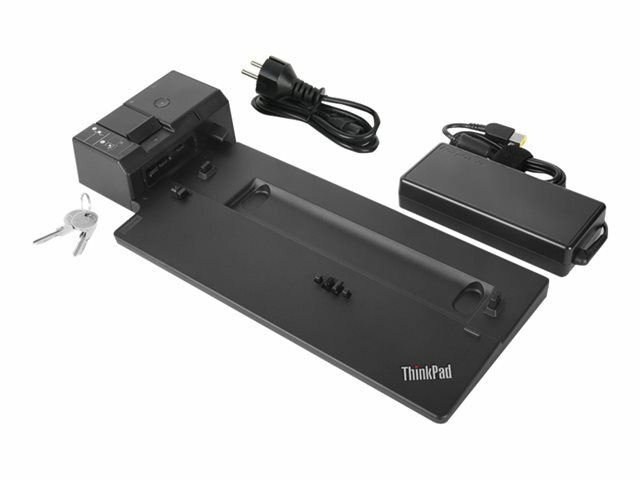 ThinkPad Docking Stations provide the best docking experience for large enterprise ThinkPad customers. The innovative side connector, designed exclusively for ThinkPad laptops, provides a driver-free way to connect conveniently and securely to a range of USB accessories and external displays, while rapid charging support and a mirrored power button make it easy to pack and go. Designed for large enterprise environments, ThinkPad Docking Stations support PXE boot, wake on LAN, and MAC address pass-through, simplifying asset management for IT managers. Painstakingly designed extensively tested, ThinkPad Docking Stations provide a seamless docking experience.